Thank you and welcome to our VIP Member List. You will get news and updates before anyone else. Please contact us if there is anything you would like to see more of at Guitar Stories USA. Everyone loves a good behind the scenes look into how amazing things came to be. This book is one of my favorites. I own and play Fender Stratocasters, Fender Telecasters, Fender Precision Basses and Fender Amplifiers. I have always been fascinated by their tone, feel and look. While there is always a debate about exactly how these iconic instruments came into being, I think we can all agree that Leo Fender and his company came up with some amazing electric guitars and were pioneers and pure innovators. If you are a history buff like me, prepare to take an archaeological journey into the past world of Fender Guitars. This book digs deep and sheds new light on the inspiration behind these revolutionary guitars and amplifiers, the personalities and motivations of the key players at Fender and the environment in which they were created and brought forth to all of us to enjoy. This book is really part history, part archive, part scrapbook and part treasure chest. 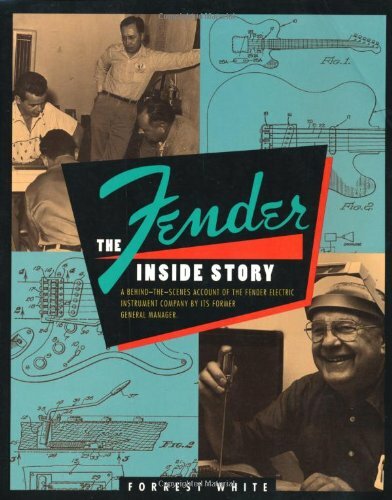 Great pains were taken to give all of us an inside glimpse into the inner workings of the Fender Company. A company that truly changed not just guitar and instrument making, but in my opinion, largely contributed to changing music and inspiring the generations of guitarists who have showed us all what was possible with these amazing guitar innovations. Another book on the subject may be of interest to all of you fellow Fender history buffs written about 20 years ago. 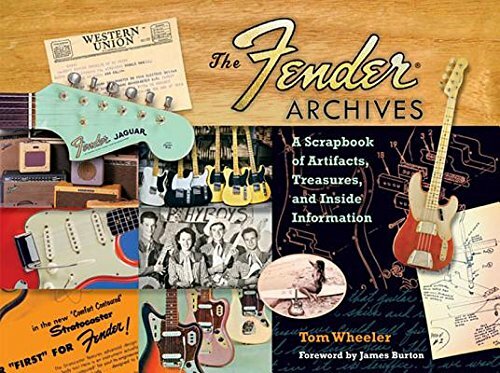 This book is called "Fender: The Inside Story"
While less of an Archaeological dig, it is more the account of Fender's former General Manager of many years. Also worth checking out! A few years back, I created a page that has links to some of what I believe to be "Must Have" Guitar Books for the guitarist, guitar enthusiast and guitar collector. Some of these awesome books are historical in nature and some are just excellent photo collections of some of the most iconic electric guitars ever made. "MUST HAVE BOOKS FOR GUITAR PLAYERS"
To View More Great Gifts for Guitar Players, click the Image Below to return to our Guitar Player Gift Guide.